Priya’s idyllic world turns upside down when she realizes her husband considers her dead weight after stripping her off her inheritance for his ambitions and lavish lifestyle. Instantly attracted to Priya, Abhimanyu knows getting involved with a married woman is inviting trouble. But despite common sense, cautions and hesitations, he is drawn to help her. Happily ever after has become a myth for Priya and trying to keep the relationship platonic is becoming more and more difficult for Abhimanyu. 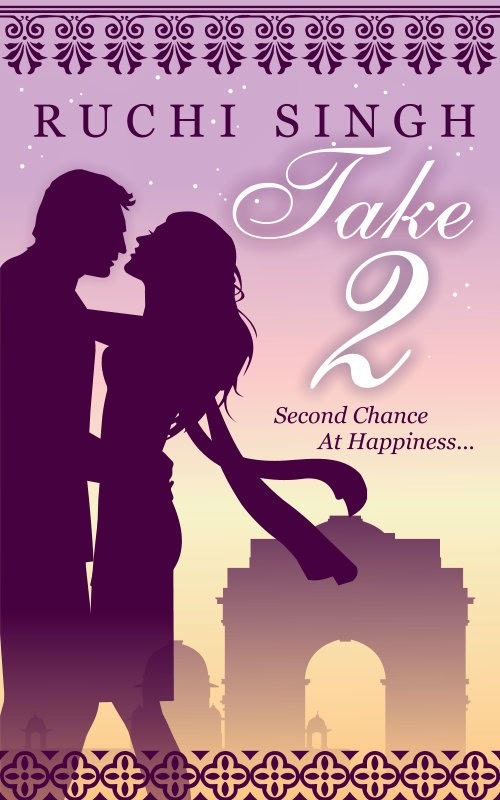 In the tussle between ethics, fears and desires… will Priya embrace a second chance at happiness? She has taken the sensitive topic of abuse in marital relationship and spun a story around it that combines romance with a dramatic twist at the end. While physical and mental harassment causing a failed relationship is a topic that has been dealt before, her book is different for her lovely prose and her vulnerable heroine. I usually expect dominant and confident heroes in romance. Abhimanyu was different but still managed to be captivating because of his sensitivity towards Priya. I did feel like shaking her on occasion to get some sense in her because she was so blind to her husband and his flaws but here Ruchi has stuck to the reality of the character she portrays. Her character represents women who become emotionally dependent and because of inherent mental make-up and social shackles find it difficult to end a bad marriage going worse. The twist in the end felt a little off course but managed to hold interest and got relevant towards the end. Read this for realistic portrayal of a traditional woman in an abusive relationship and for the very tender loving hero.